Cryptocurrencies are still well into their development phase. Even down the road, they probably won’t be used by banks to deny people their own funds. BBVA, the second-largest bank in Spain, recently reminded people how important it will be to have cryptocurrencies in the future. BBVA, without warning, has closed more than 5000 accounts. Interestingly enough, the majority of the accounts belonged to Chinese clients. The bank denies all claims of anti-Chinese sentiment and says it acted on the country’s anti-money laundering rules. This is a frightening reminder that banks have the power to immediately block access to people’s money without any warning. On a larger scale when more banks are involved, this scenario will make the great depression look like child’s play. People really need to understand that in the future this problem will concern them. An independently stored cryptocurrency cannot be frozen, shut down or censored by any government or centralized institution. Satoshi Nakamoto precisely designed Bitcoin so it could be used WITHOUT the need for a financial institution. Nakamoto knew what many people are now starting to figure out, that banks are not anybody’s ally. The BBVA fiasco comes only a few weeks after the Wells Fargo blackout. People who felt safe and untouchable, were instantly and without warning, locked out of their online bank accounts. Inevitably, a time will come where people will have absolutely no choice but to turn to an alternative monetary system. The Spanish bank is also accused of discrimination. Many Chinese clients were seen protesting on the streets with signs mentioning “Stop banking racism” and “racist BBVA”. Despite a wide media coverage, the accounts still remain frozen. This is why cryptocurrencies are the monetary system of the future. People’s funds cannot be rejected because of their nationality of because a bank or government decided so. This monetary system will be open 24/7 to every single person on the planet. A few years ago, back in 2013 the people of Cyprus understood why banks don’t care about people at all. The banks simply decided to confiscate 40% of all deposit funds above $130 000. People with large amounts of money in the banks, simply lost 40% of it, with no explanation. Many experts even point out to the events in Cyprus as the catalyst for the huge Bitcoin bull run. The United States, Germany, the United Kingdom and Canada all have active laws which allow banks to seize customer funds in the event of a recession. People who calmly live in the first world and think these events cannot happen there, are simply dead wrong. If the bank simply decides to confiscate your funds, you can’t do anything about it. Independently stored cryptocurrencies are the future because a third-party has absolutely zero chance of confiscating anything. BBVA’s actions should serve as a warning of what will inevitably happen and it would be smart to listen. 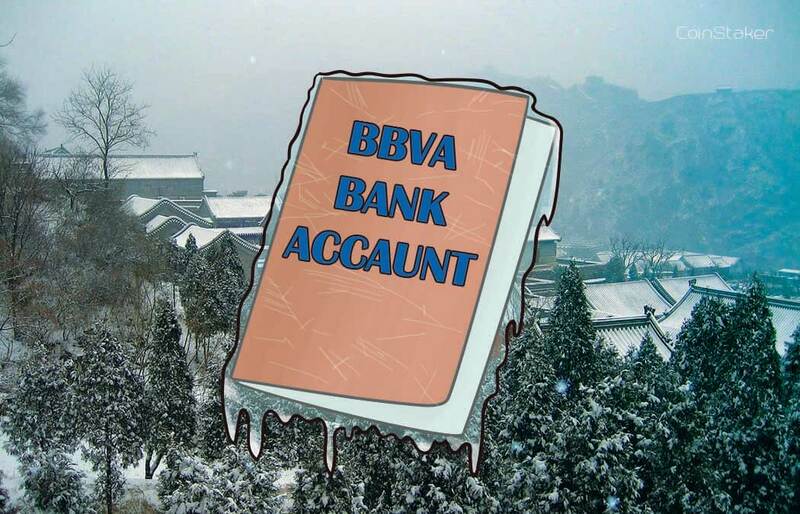 The post BBVA Freeze 5000 Chinese Clients Accounts Without Warning appeared first on CoinStaker | Bitcoin News.